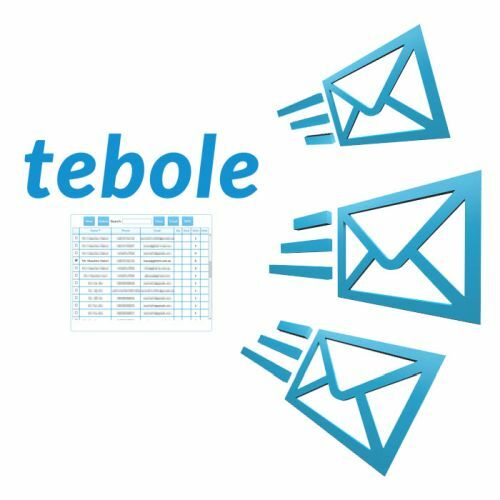 How to send mails to your customer who booked by tebole. Select ‘Tools’ menu and Press ‘Contacts’ Button on the right. 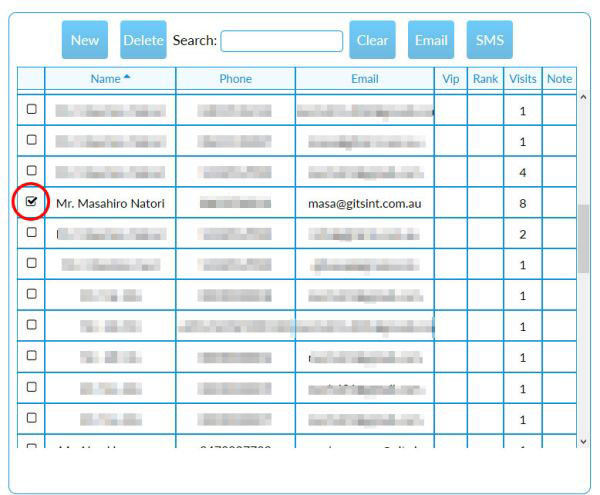 You can see the contact lists who booked from tebole. 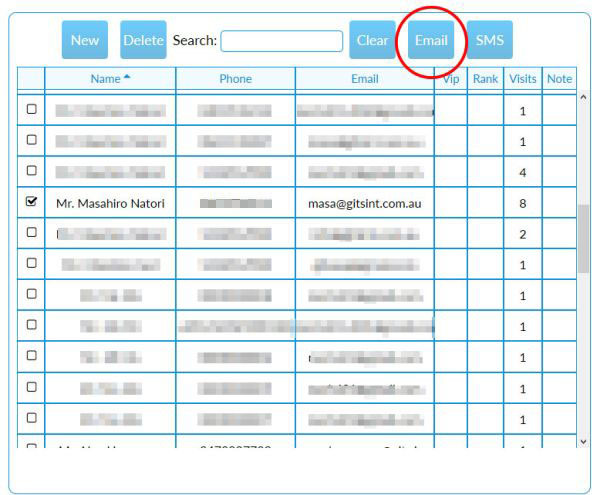 Select some customers that you want to send Promotion Email by ticking. Press Email button on the top. You can see the mail edit box. Write subject and message. 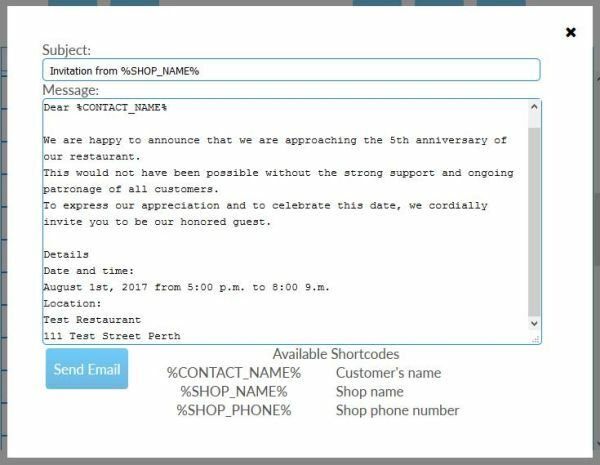 You can use some short codes like %CONTACT_NAME% as Customer name, %SHOP_NAME% as restaurant name and %SHOP_PHONE% as Phone number of the restaurant. After writing the message, Press ‘Send Email’ Button. Mails are sent to customers. 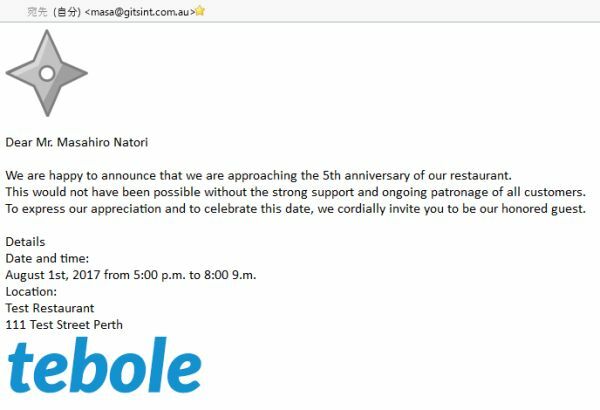 You can easily send your promotion mail to customers. 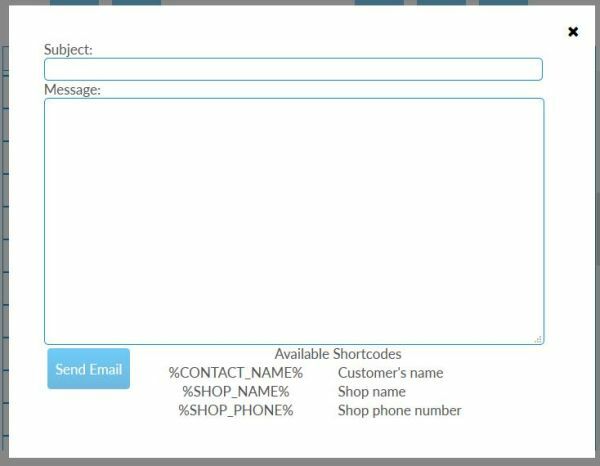 As you can see %CONTACT_NAME% are changed to Customer’s name. 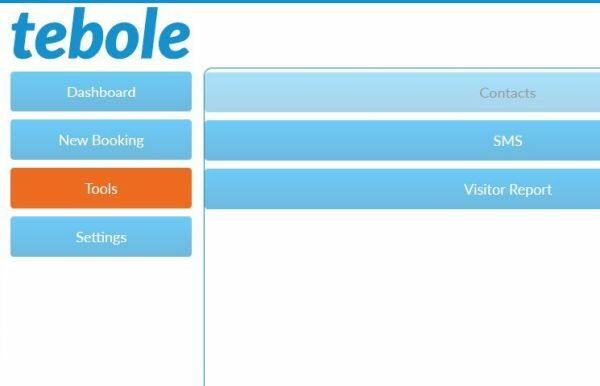 When you start using booking system, you can get lots of customer list on tebole. And you can send promotions to them very easily and it will be great result.